This is an in-depth guided tour including the powerplant and top of the dam, plus lunch. 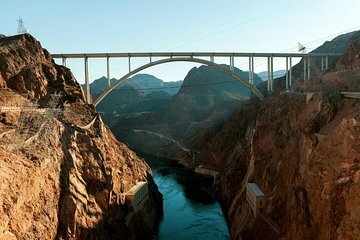 Following pickup at select Las Vegas hotels, climb in to the climate-controlled vehicle for the 45-minute drive to the Hoover Dam. Get to know your guide and small group along the way, learning about Hoover Dam history through your guide's commentary. Upon arrival, start your visit with the Powerplant Tour. Descend 524 feet (160 meters) into the walls of the Black Canyon to see the Nevada Powerwing. Stroll through the generators and see the enormous pipe inside one of the diversion tunnels. After poking around in the depths of the earth, take the elevator back up to the Visitor Center. Get a full picture of the Hoover Damn's history through the exhibits and displays that show the building of the dam and its daily operations. The highlight of this tour is the Walk on the Top portion: trek over the top of the dam itself for 45 minutes. This excursion is one of the only from Las Vegas to offer this option. 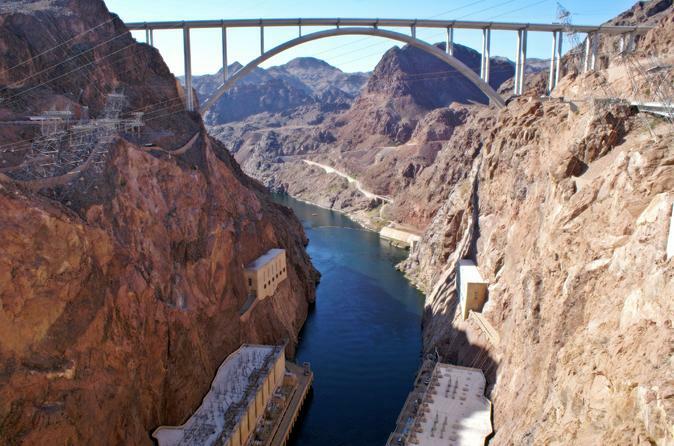 Stop by the bypass bridge to see the dam from above, before hopping back into your bus to head back to Las Vegas. During the trip home, stop for lunch to fuel up after your day of learning, seeing and doing. Your 6.5-hour tour concludes with drop-off back at your select hotel in Las Vegas. Our guide, Jason, was very entertaining and knew all we needed to know about Hoover Dam. Steve, our driver, maneuvered our tour bus with great expertise. Lunch wasn't bad, either. We had plenty of time to take the tour of the dam, then walk on top of the dam, go to gift shop, etc...All in all, a great experience . Had wonderful and funny tour guide. He was knowledgeable and made the bus ride to and from the Hoover dam very enjoyable. The lunch provided was at a restaurant and was delicious. Would definitely recommend this tour with Comedy on deck to my friends!